Angelina Jolie Pitt’s third film, “By the Sea,” feels like a bloated student thesis project. And, for once, I do not use that term in a completely pejorative manner. Jolie Pitt’s last directorial outing, “Unbroken,” was such a formulaic piece of studio entertainment that it felt depressingly soulless in its mediocrity. (Her deeply misguided mess of a debut, “In the Land of Blood and Honey,” is best left forgotten.) Here, she seems to be grappling with some fundamentals of cinema: editing, shot choice, shot duration, camera movement. Since Jolie Pitt holds such a position of power in Hollywood that she will likely see many opportunities to step behind the camera again, watching her grow is inarguably a positive thing. Admittedly, there are far more qualified directors – female or male – deserving of eight-figure budgets to make a personal project. It’s frustrating to think on who lost out on their chance because Jolie Pitt got this one. Still, if she ever wants to take the reins of “Cleopatra” herself, everyone should be thankful she got to make “By the Sea” as a stylistic exercise. The film is almost pure style, like a sleek perfume or cologne ad drawn out to feature length. Jolie Pitt and her husband, Brad Pitt, play the bitter married couple Vanessa and Roland, estranged practically to the point of their union dissolving. “By the Sea” follows their trip to the luxurious beaches of France from arrival to departure, chronicling their manifold frustrations in languorously broad strokes. Roland galavants off attempting to write his next novel, while Vanessa mostly just lingers around their hotel room smoking cigarettes and throwing shade through her Yves Saint Laurent sunglasses. When it comes to civically-minded celebrities these days, Angelina Jolie is probably one of the first people that comes to mind. She’s well-known as a Goodwill ambassador for the United Nations, and her recent efforts to combat sexual violence in wartime earned her an honorary title of Dame from Queen Elizabeth II. It follows that her debut behind the camera as a director, “In the Land of Blood and Honey,” would be closely intertwined with her humanitarian efforts. But while locked in the grips of the seemingly interminable picture, I couldn’t help but feel like her time and my time would be better spent elsewhere. Jolie’s time would go, of course, to saving the world (while mine would most likely be put towards shrinking the size of my Netflix queue). Jolie makes a rather color-by-numbers war film, one that never manages to excite or enrage. Though it’s clear that she’s stridently railing against the use of war to justify sexual assault against women, “In the Land of Blood and Honey” lacks a call to action into which all that anger can be channeled. The film drags along for over two hours, giving us little history or commentary on the Bosnian War of the 1990s. All we’re really told is that there was peace, then – BANG! – it’s gone. The one element that should have been able to gin up some intensity, a forbidden romance between the opposing sides, is never as frightening or dangerous as it should be. What’s old must become new again in order to keep movie studios’ back catalogues fresh so they can earn money; thus, we end up with “Maleficent,” a reimagining of their “Sleeping Beauty” tale. It’s a film that uses the same formula as “Oz the Great and Powerful” and then splashes it with flourishes from Tim Burton’s 2010 revisionist “Alice in Wonderland.” It trots out the familiar mythology – only now in sleek CGI! – and then puts a few twists on it to justify the remake. Analyzed in tandem with the Mouse House’s 2013 megahit “Frozen,” the film yields interesting insights into the psyche of Disney. This marks their second straight tentpole that does not give the audience the expected male-female romantic ending, leaving them to ponder the many different forms love can take. One can only wonder where these progressive messages will ultimately end. 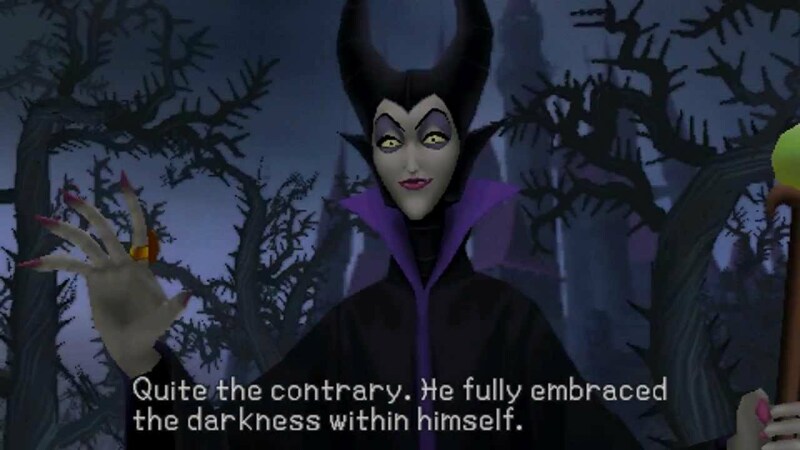 But that’s about all the intellectual discussion I can pull out of “Maleficent.” It’s a sloppily written film filled with feckless characters whose discernible motivations are few and far between. The movie needlessly complicates the simple 1959 classic story, making it a slow plod. And, from a perspective likely only depressing to me, it reduces great actors like Imelda Staunton and Lesley Manville to playing cartoonish fairies in a failed comic relief subplot. There could be worse things to watch for an hour and 45 minutes than a cinematic worshipping and idolization of the physique of Angelina Jolie. As if “Salt” wasn’t enough for 2010, Sony takes her out of action figure mode and gives us “The Tourist,” a whole movie of Jolie in red carpet mode. She elegantly struts across the scene in beautiful gown after dazzling dress, all accentuating her best features: her eyes, her lips, and her figure. If you aren’t floored by her beauty by the end of the movie, go get your eyes checked. But as your mom taught you in middle school, looks aren’t all that matter; you have to have a good personality to be truly attractive. Inspect anything other than Jolie in “The Tourist” and you will find one snooze of a movie. Half-heartedly a romantic comedy and half-heartedly an action thriller, it fails to satisfy as anything more than eye candy. As the lover of con man Alexander Pearce, Elise (Jolie) finds herself tracked heavily by the police and the mob. He tells her to find a man of similar build to him and masquerade around Venice as if he were the elusive Pearce. On a train, she nabs Frank Tupelo (Johnny Depp), a math teacher at a Wisconsin community college headed to Italy on vacation. She entices him by a tease act and then manages to rope him into following her around by money and luxury. From there, it’s a game of mismatched expectations as she sees him as expendable while he thinks she is romantically interested in him. In his mind, the movie is a classic romance in Italy, and he proceeds as such. Yet in her mind, it’s like a James Bond movie where he’s a pawn. The two visions clumsily intermingle, resulting in one very uncomfortable blend to digest. Jolie and Depp have zero chemistry, and even though it’s not necessarily required for the movie, neither have any sort of a game face for it. The action sequences are slow and boring, failing to breath any sort of life into “The Tourist” which flails for its duration in desperate need of a respirator.